Materials : Stainless Steel ,Mild Steel,Galvanized Steel, etc. Type of Weaves: Plain Weave,Twilled Weave,Dutch Weave, etc. 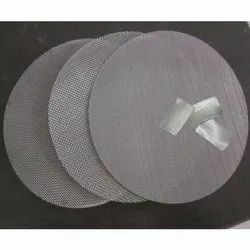 Filter disc Provided in Cellulose, Cellulose , PP non woven & woven Thickness Ranges 1.5 to 4.5 mm 500-150 GSM for cellulose , 1.5 mm to 2 mm for 300-500 GSM PP nonwoven Standard size 8.5 , 14.5, 16, 18.5, 24 inch Application Industry char-coal / activated carbon / Catalyst filtration. JPT one of the Best World suppliers who can provide zero fiber detachment and lint free pads. With a world-class manufacturing division, we aim to convert your product targets into achievements through our manufacturing division, which offers utmost flexibility in giving you customized solutions.We offer cut elements, available in any design and style in single or multiple layer for your convenience. These Felt Discs are available in various sizes and specifications. 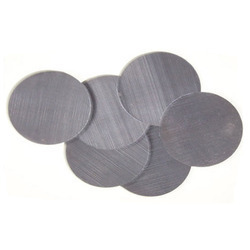 Our Filter Discs are widely appreciated by our customers spread all over the country. As per the requirement of the customers, we can customize the products within the committed time frame. - Commonly used diameters in Disc filters are 80mm round, 150mm round, 220mm round. - The sieves vary for 1000 microns to 10 micron as per client application. They are usually made with different meshes (filter mesh and support mesh), either with welded joints or with a perimeter frame.